Hi everyone. 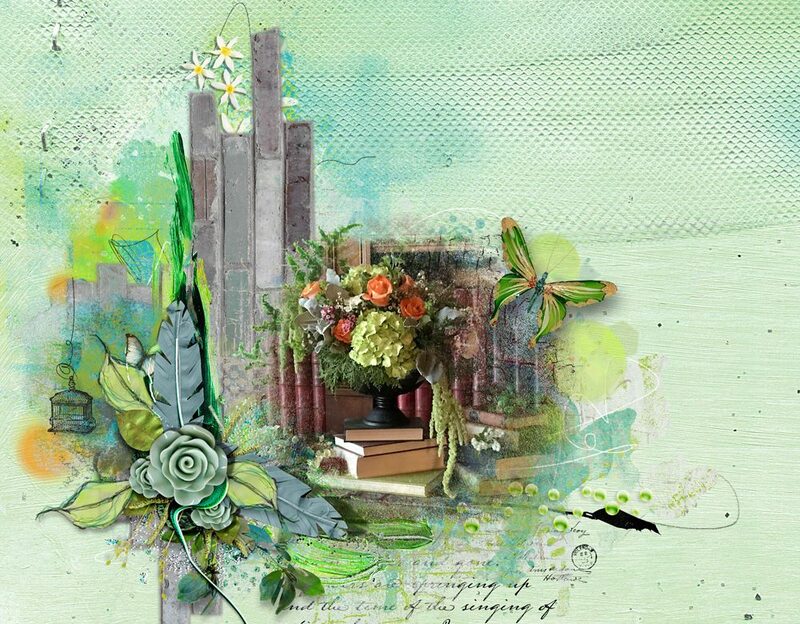 Even though we are having an arctic blast this week it really is beginning to look like Spring around here, in the eastern U.S.A. Nicole has a new collection out and it is full of beautiful greens and blues that will be your go-to collection for those Spring induced color palette photos. 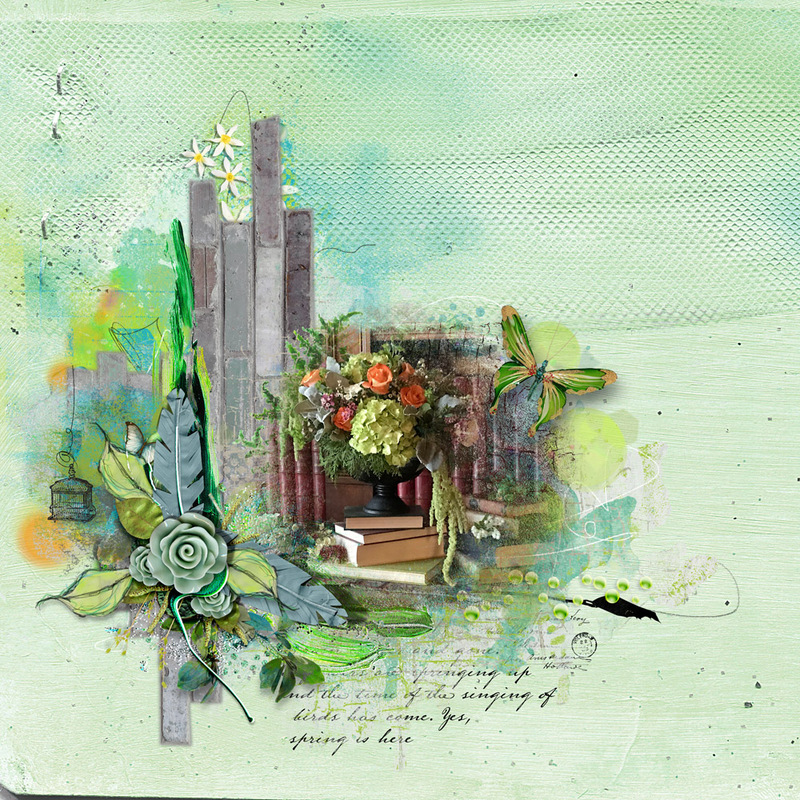 For my layout I started with one of the Paperset-Mixed Media background papers. I used one of the Botanical Blender Masks for my photo and added some pieces from the APB 1 & 2, Painters-Toolbox:Mix of Styles & Color Styles, Sprinkles and MagicLights. I finished it off with one of the Word Arts tucked just below the masking..